Birds are renowned for their exceptional vision and the way that this enables them to survive and navigate the world in such a unique way. However, it is now recognised that avian behaviour is guided by information drawn from many different senses which are then used in integrated and complementary ways to answer the many different sensory challenges posed by specific environments and particular tasks. Understanding how sensory information is used by birds has important applications in conservation, such as providing vital insights into why birds are prone to collisions with structures like power lines and wind turbines, and why so many diving birds become entrapped in nets. A sensory ecology approach suggests how these problems can be mitigated. The Sensory Ecology of Birds ranges widely across species, environments, and behaviours to present a synthesis that challenges previous assumptions about the information that controls the behaviour of birds. A bird may use a wide range and combination of sensory information that comes from sight, hearing, smell, mechanoreception, taste, and magnetoreception. It may also include specific refinements of senses, such as echolocation and remote touch from the bill. 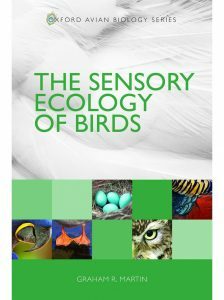 The Sensory Ecology of Birds recognises that there are many complex and subtle trade-offs and complementarities of information between different types of sensory information. 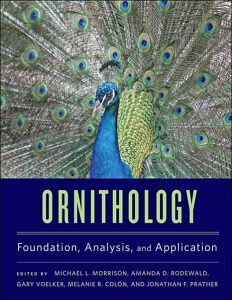 This accessible text will be of interest to a wide ornithological readership, from undergraduates to researchers as well as a broader audience of behavioural ecologists and evolutionary biologists. Artist/Author: Pearce-Higgins, James W. and Rhys E. Green. From the red grouse to the Ethiopian bush-crow, bird populations around the world can provide us with vital insights into the effects of climate change on species and ecosystems. They are among the best studied and monitored of organisms, yet many are already under threat of extinction as a result of habitat loss, overexploitation and pollution. 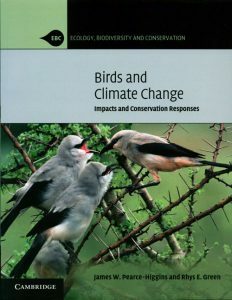 Providing a single source of information for students, scientists, practitioners and policy-makers, this book begins with a critical review of the existing impacts of climate change on birds, including changes in the timing of migration and breeding and effects on bird populations around the world. The second part considers how conservationists can assess potential future impacts, quantifying how extinction risk is linked to the magnitude of global change and synthesising the evidence in support of likely conservation responses. The final chapters assess the threats posed by efforts to reduce the magnitude of climate change. 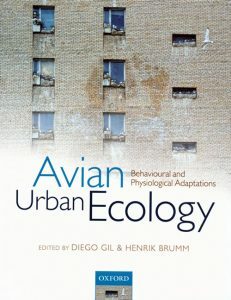 Avian urban ecology: behavioural and physiological adaptations. Artist/Author: Gil, Diego and Henrik Brumm, editors. This title is not held in stock but we are happy to supply on special order. Please contact us. As natural habitat continues to be lost and the world becomes more urbanized, biologists are increasingly studying the effect this has on wildlife. Birds are particularly good model systems since their life history, behaviour, and physiology are especially influenced by directly measurable environmental factors such as light and sound pollution. It is therefore relatively easy to compare urban individuals and populations with their rural counterparts. This accessible text focuses on the behavioural and physiological mechanisms which facilitate adaptation and on the evolutionary process that ensues. It discusses topics such as acoustics, reproductive cues, disease, and artificial feeding, and includes a series of case studies illustrating cutting edge research on these areas. Avian Urban Ecology is suitable for professional avian biologists and ornithologists as well as graduate students of avian ecology, evolution, and conservation. It will also be of relevance and use to a more general audience of urban ecologists and conservation biologists. Also available in hardcover [stock id 36059]. Artist/Author: Fuller, Robert J. editor. The successful conservation of bird species relies upon our understanding of their habitat use and requirements. In the coming decades the importance of such knowledge will only grow as climate change, the development of new energy sources and the needs of a growing human population intensify the, already significant, pressure on the habitats that birds depend on. 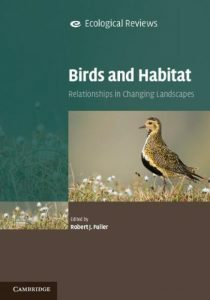 Drawing on valuable recent advances in our understanding of bird-habitat relationships, this book provides the first major review of avian habitat selection in over twenty years. 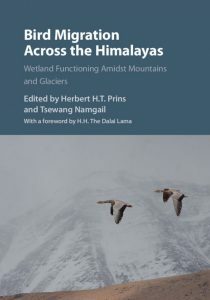 It offers a synthesis of concepts, patterns and issues that will interest students, researchers and conservation practitioners. Spatial scales ranging from landscape to habitat patch are covered, and examples of responses to habitat change are examined. European landscapes are the main focus, but the book has far wider significance to similar habitats worldwide, with examples and relevant material also drawn from North America and Australia. Artist/Author: Moller, Anders Pape et al. Climate change has always affected living organisms; however, current climate change is exceptional both in terms of the rate of change and the impact on individuals, populations, species, and ecosystems. 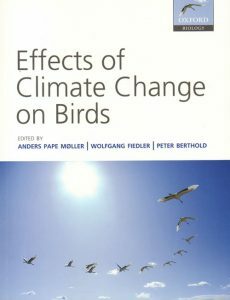 This volume provides an exhaustive and up-to-date synthesis of the science of climate change as it relates to birds. Compared with any other class of animals, birds provide more long-term data and extensive time series (some dating back more than 100 years), a more geographically and taxonomically diverse source of information, and a longer tradition of extensive research. In fact this research record exceeds what is available in all other organisms combined. Artist/Author: Wormworth, Janice and Cagan H. Sekercioglu. ‘The ability of the birds to show us the consequences of our own actions is among their most important and least appreciated attributes. Despite the free advice of the birds, we do not pay attention’, said Marjory Stoneman Douglas in 1947. From ice-dependent penguins of Antarctica to songbirds that migrate across the Sahara, birds’ responses provide early warning signs of the impact of climate change. 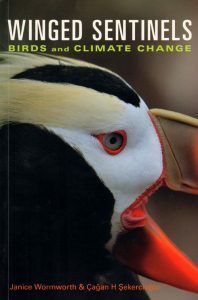 This book uses colourful examples to show how particular groups of birds face heightened threats from climate change and to explore how we can help birds adapt in a warming world. Generously illustrated with colour photographs, the book is a fascinating insight into what climate change means for birds, and the potential consequences of ignoring these warning signs. Artist/Author: Blackburn, Tim M., Julie L. Lockwood and Phillip Cassey. Biological invaders represent one of the primary threats to the maintenance of global biodiversity, human health, and the success of human economic enterprises. The continuing globalization of our society ensures that the need to understand the process of biological invasion will only increase in the future. There is also a growing recognition that the study of biological invaders provides a unique insight into basic questions in ecology and evolution. 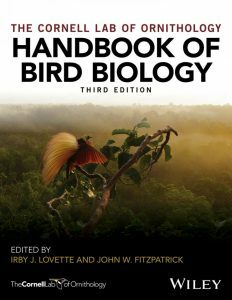 The study of exotic birds has had a particularly long history and has come to represent a fascinating intersection between the study of biological invasions, avian conservation biology, and basic principles of ecology and evolution. 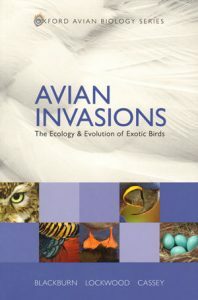 This book summarizes and synthesizes bird invasions and unravels the insights that the study of exotic birds brings to all three of these research strands. 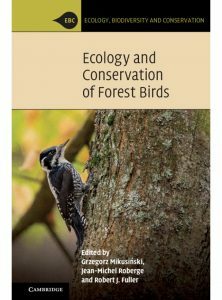 It includes chapters on the well-known contributions of exotic bird study to ecological science, and on the post-establishment evolution of introduced bird populations. The result is the most comprehensive picture yet of the invasion process.